Confronted with a dire situation, a world power last week took strong action to secure its domestic jobs and manufacturing. That was China. Not the United States. China diminished the value of its currency. This gave its exporting industries a boost while simultaneously blocking imports. The move protected the Asian giant’s manufacturers and its workers’ jobs. 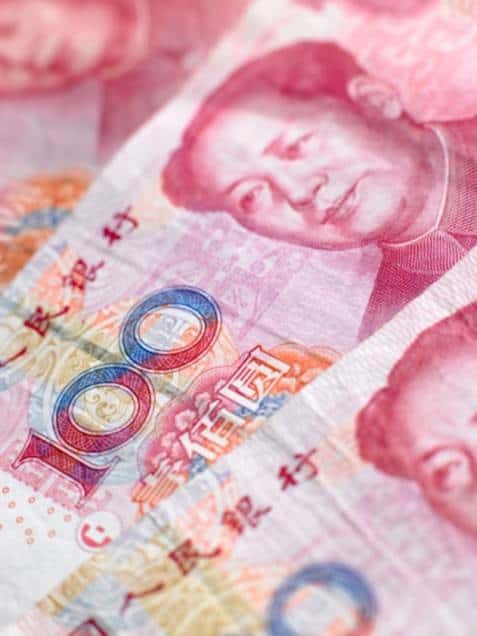 Currency manipulation violates free market principles, but for China, doing it makes sense. The nation’s economy is cooling. Its stock market just crashed, and its economic powerhouse – exports – declined a substantial 8.3 percent in July ­– down to $195 billion from $213 billion the previous July. This potent action by a major economic competitor raises the question of when the United States government is going to stop pretending currency manipulation doesn’t exist. When will the United States take the necessary action to protect its industry, including manufacturing essential to national defense, as well as the good, family-supporting jobs of millions of manufacturing workers? While China lowered the value of its currency on three consecutive days last week, for a total of 4.4 percent, the largest decline in two decades, a respected Washington think tank, the Economic Policy Institute, released a report detailing exactly how the United States lost 5 million manufacturing jobs since 2000. The report, “Manufacturing Job Loss: Trade, Not Productivity is the Culprit,” clearly links massive trade deficits to closed American factories and killed American jobs. U.S. manufacturers lost ground to foreign competitors whose nations facilitated violation of international trade rules. China is a particular culprit. My union, the United Steelworkers, has won trade case after trade case over the past decade, securing sanctions called duties that are charged on imported goods to counteract the economic effect of violations. In the most recent case the USW won, the U.S. International Trade Commission (ITC) finalized duties in July on illegally subsidized Chinese tires dumped into the U.S. market. The recent history of such sanctions on tires illustrates how relentless the Chinese government is in protecting its workers. Shortly after President Obama took office, the USW filed a complaint about illegally-subsidized, Chinese-made tires dumped into the U.S. market. The Obama administration imposed duties on Chinese tire imports from September 2009 to September 2012. Immediately after the tariffs ended, Chinese companies flooded the U.S. market with improperly subsidized tires again, threatening U.S. tire plants and jobs. So the USW filed the second complaint. Though the USW workers won the second case as well, the process is too costly and too time consuming. Sometimes factories and thousands of jobs are permanently lost before a case is decided in workers’ favor. This has happened to U.S. tire, paper, auto parts and steel workers. In addition, the process is flawed because it forbids consideration of currency manipulation – the device China used last week to support its export industries. By reducing the value of its currency, China, in effect, gave its export industries discount coupons, enabling them to sell goods more cheaply overseas without doing anything differently or better. Simultaneously, China marked up the price of all imports into the country. American and European exporters did nothing bad or wrong, but now their products will cost more in China. Chinese officials have contended that the devaluation, which came on the heels of the bad news about its July exports, wasn’t deliberate. They say it reflected bad market conditions and note that groups like the International Monetary Fund have been pushing China to make its currency more market based. Right. Sure. And it was nothing more than a coincidence that it occurred just as China wanted to increase exports. And it was simply serendipity that in just three days, “market conditions” wiped out four years of tiny, painfully incremental increases in the currency’s value. If the value of the currency truly is market based and not controlled by the government, then as Chinese exports rise, the value should increase. That would eliminate the artificial discount China just awarded its exported goods. Based on past history, that is not likely to happen. So what China really is saying is that its currency is market based when the value is declining but not when it rises. China did what it felt was right for its people, its industry and its economy. The country hit a rough spot this year. Though its economy is expected to grow by 7 percent, that would be the slowest rate in six years. Its housing prices fell 9.8 percent in June. Car sales dropped 7 percent in July, the largest decline since the Great Recession. Over the past several months, the Chinese government has intervened repeatedly to try to stop a massive stock market crash that began in June. In the meantime, the nation’s factories that make products like tires, auto parts, steel and paper continue to operate full speed ahead and ship the excess overseas. As a result, for example, the international market is flooded with underpriced Chinese steel, threatening American steel mills and tens of thousands of American steelworkers’ jobs. This is bad for the U.S. economy. The U.S. trade deficit in manufactured goods rose 15.7 percent ­– by $25.7 billion ­– in the first quarter as imports increased and exports slipped. In the first half of this year, the trade deficit with China rose 9.8 percent, a total of $15 billion. As EPI points out, that means more U.S. factories closed and U.S. jobs lost. If China had bombed thousands of U.S. factories over the past decade, America would respond. But the nation has done virtually nothing about thousands of factories closed by trade violations. The United States could take two steps immediately to counter the ill-effects of currency manipulation. Congress could pass and President Obama could sign a proposed customs enforcement bill. It would classify deliberate currency undervaluation as an illegal export subsidy. Then the manipulation could be countered with duties on the imported products. The second step would be to include sanctions for currency manipulation in the Trans-Pacific Partnership trade deal that the administration is negotiating with 11 other Pacific Rim countries. The deal doesn’t include China, but it could join later. The deal does, however, include other countries notorious for currency interventions. American manufacturers and American workers demand rightful protection from predatory international trade practices.